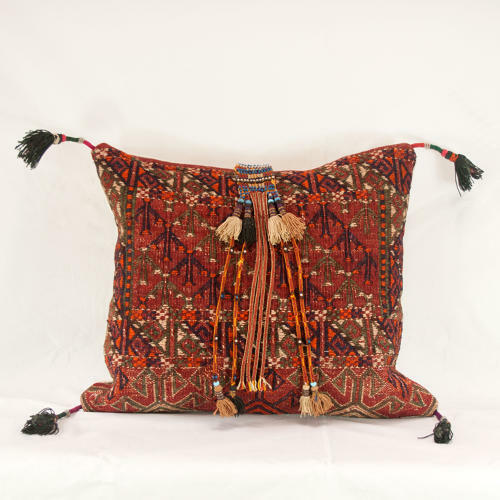 This quirky cushion has been made from a mid century Uzbekistan camel bag. I've made use of all the wonderful tassels both at the corners of the cushion and on the front. The cushion is backed with vintage hemp, it has a zip closure and feather pad. It can be viewed in my studio in Purley by appointment or please ask for a shipping quote.